If you’re one of the many iCloud users that has been receiving spam calendar invitations, you’ll be relieved to know Apple has now worked up the courage to acknowledge the problem and is trying its best to fix it. We are sorry that some of our users are receiving spam calendar invitations. We are actively working to address the issue by identifying and blocking suspicious senders and spam invites being sent. If you’re one of the people that has been affected by this bug, you know how annoying it’s been. Users have been asked to decline invites throughout the day, with no end in site. There is currently no way to block these invites in the Calendar app on iOS and Mac. The problem has been amplified by macOS and iOS, both of which automatically scan your inbox for calendar invitations. 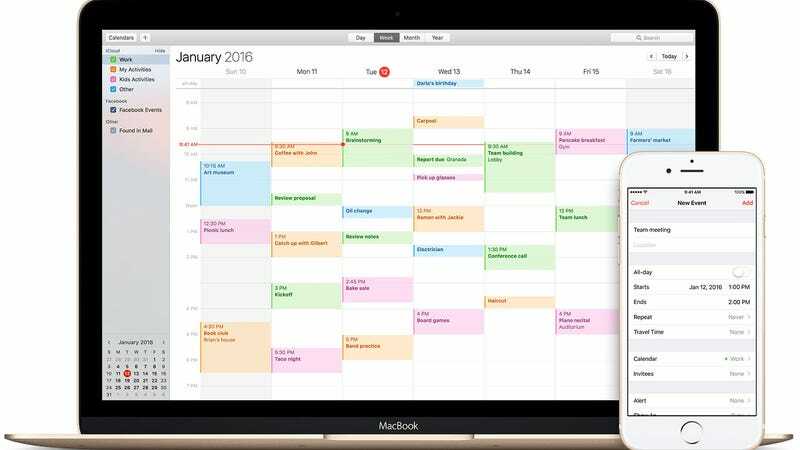 The feature is supposed to make saving appointments to your calendar easier. The problem is when a bot sends you dozens of spam invites for UGG and Ray-Ban sales, your calendar goes bonkers. When you decline an event to get rid of it, it might actually let spammers know the account is active. Apple is now, apparently, trying to attack the issue at the server level. Given the ridiculous nature of the statement (the fact that it was sent to a popular Apple news blog via iMessage), we’re not holding our breath. It’s still unclear how long it will take to solve the issue or how many customers it has affected.